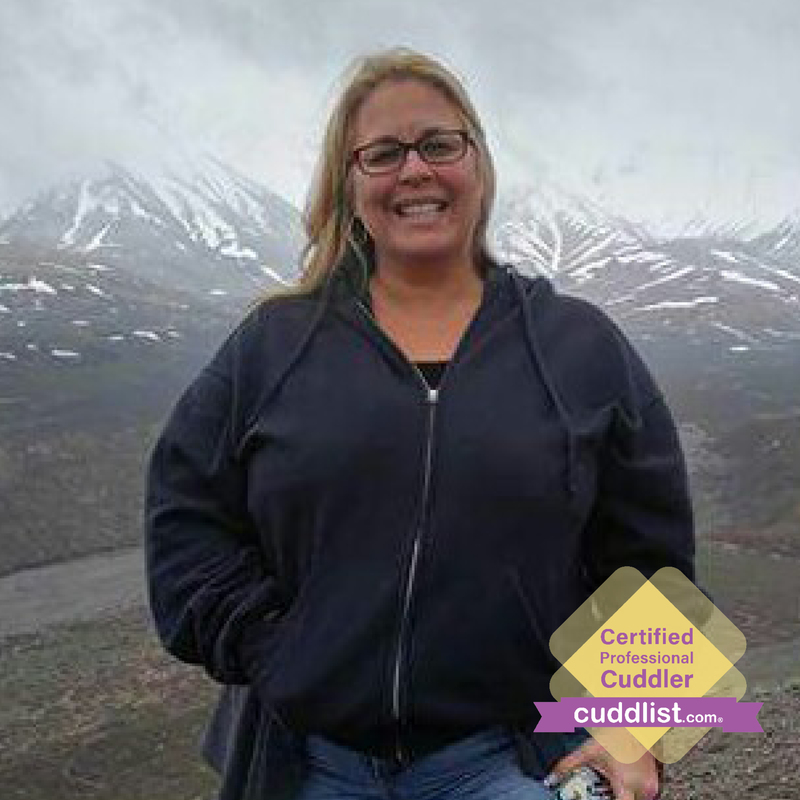 Want to cuddle with Chris R? My goal is to provide a safe, loving place to get your touch needs met, to de-stress, exhale and relax. To improve your health and overall well being through platonic touch. Platonic touch therapy is a valid healing modality that increases self-worth, confidence, improves productivity and strengthens your immune system. Platonic touch can also help decrease depression, anxiety and the stress hormone, cortisol, in our bodies. 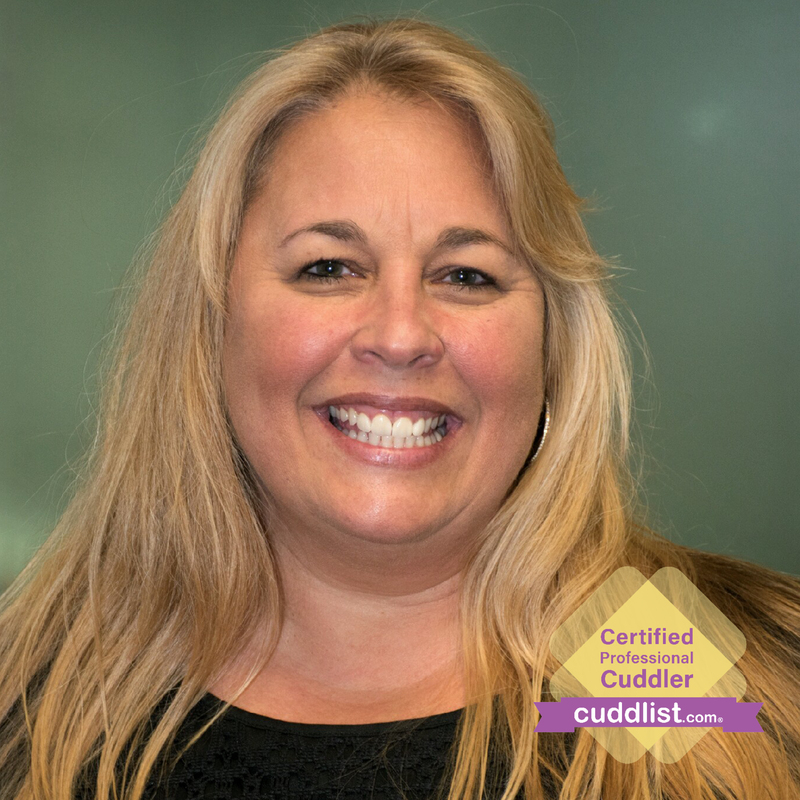 I’m a Cuddlist because I believe we are all important and have an intrinsic need to know we are valued, loved and accepted. As a Christian I am called to love others and this is one way I can fulfill this basic human need in a safe environment without judgment or fear. This is a beautiful way to show love, create joy, peace, patience, kindness, goodness, faithfulness, gentleness and practice self-control. All my life I have been told I have a natural ability to make people feel special, relaxed, and safe. That I’m easy to talk to and am a good listener. This is because I value each person right where they are without judgment and with unconditional love. My spiritual gifts are encouragement and mercy. My love language is physical touch. I’m basically wired for this! Folks who are too busy to develop long term relationships due to schedules or careers but still need touch. Widowers, divorcees or singles who have lost their touch partner and are still in need of this basic human contact. Those who are lonely, depressed, stressed, or preparing for a big event and just need to relax! Students (over 18) who are missing family while away at college/training. Awkward or uncomfortable about asking for touch? You’re in the right place to get empowered to practice asking for what you want in a safe space. Those who have had a bad experience with touch and feel like they need to be retrained or learn about good, healthy touch in a safe, non-judgmental environment. Anyone who is feeling like they just need a good, long hug or cuddle. Please review and agree to adhere to the Code of Conduct. We will have a brief meet and greet over the phone before we schedule an appointment to cuddle to be sure we both feel a session will be beneficial for us. At our session, we will start the first 5-7 minutes by discussing what you hope to get from our time together, remind ourselves that this is a safe place for strictly platonic touch and we will both agree to be honest when we are uncomfortable about anything during our session. No explanation needed! We can talk or not talk, this is your session completely based on what your needs are within the boundaries of the Code of Conduct. We will create your session together to see that you leave rejuvenated, relaxed and ready to finish or start your week! My goal is to create a safe, cozy space to breathe, exhale and find an hour of peace in a crazy, busy, competitive and technology driven world. Come find your quiet place with me. Please let me re-affirm this service is therapeutic in nature. If it’s not something you would do in front of your pastor or other spiritual advisor, grandmother or a child, then this is not what you are looking for. My love language is physical touch and my spiritual gifts are encouragement and mercy.